Age UK Norfolk delivers a range of services across the county that includes advice and information, advocacy, home help and respite care. One of their primary services is a free telephone befriending service that operates countywide and offers a lifeline to many older people (60 years and over), who would otherwise feel lonely and isolated. The service provides companionship and a link to the outside world, and for many represents their only conversation from week to week. The scheme is delivered by volunteers who make calls from their own homes with the aim of cultivating a happy informal atmosphere, building strong bonds with the people who use the service. Some of the volunteers are themselves housebound and also benefit from the social contact. Calls during the winter months are especially important to allow the volunteers to check that people are keeping warm, having hot meals and are not struggling with the cost of heating their homes. 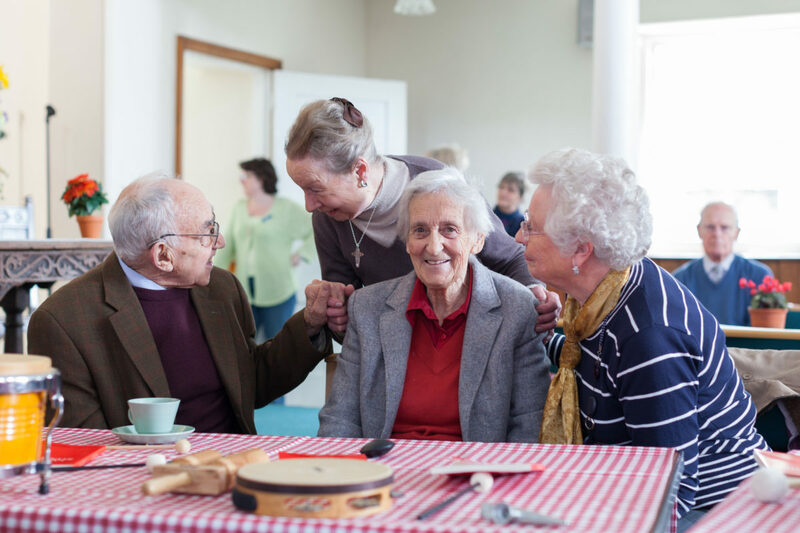 Once in touch with Age UK, users are often connected to other support and services, including benefits and health advice, and local social clubs. Norfolk has a larger than average population and Norfolk Insight states that there are 216,300 older people (age 65+) living in the area, 53,000 of whom live alone. The 4th Norfolk Older People’s Strategy 2016-18 states that 1 in 10 people visit their GP because they are lonely. Statistics show that loneliness can be harmful to health and put older people at greater risk of cognitive decline. Age UK Norfolk has supported Gordon for 40 years in various ways. Life has not always been easy for him and in his 87 years he has had more than his fair share of heartache. Gordon lost his father in a tragic accident at the age of 10 and by 12, he had left school to work full time on a farm, earning 11 shillings a week (that’s 55 pence today) to support his family. Gordon looked after his mother for several years until her death, when he suddenly found himself very lonely. Upon the suggestion of his brother-in-law, he joined the Army, which in turn led to him meeting his wife, Jean. After a happy period spent living in Norfolk with his wife and her family, Jean sadly passed away from breast cancer, once more leaving Gordon on his own.